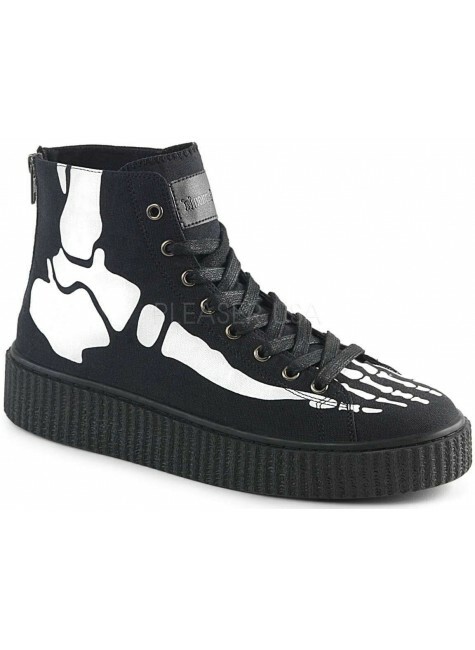 Black high top canvas sneaker with XRay Bone Print by Demonia is perfect for men or women. 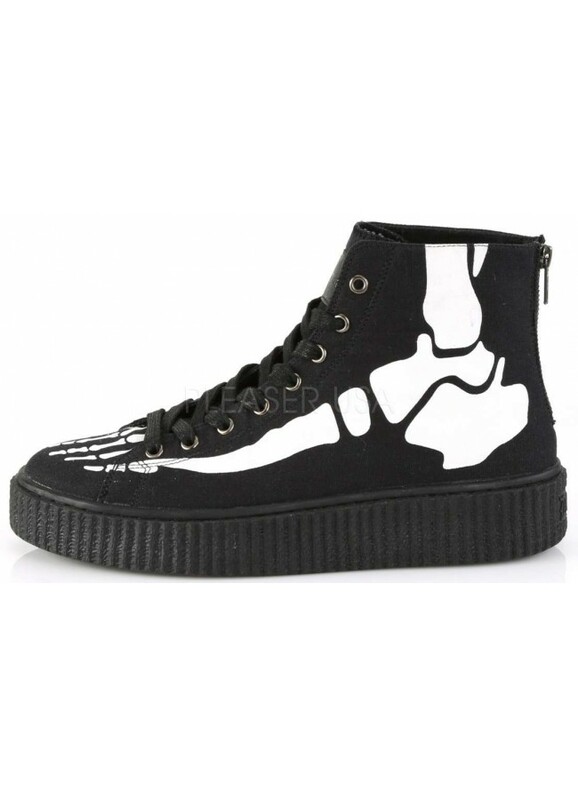 Skeletal X-Ray print high top black canvas Gothic sneaker for men or women. 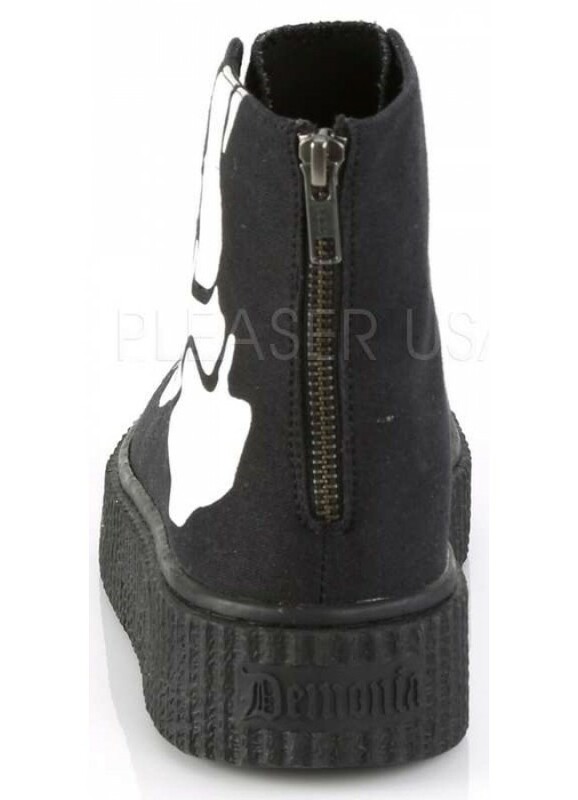 Round toe with a 1 1/2 inch rubber platform heel, this unisex sneaker has a lace up front with back zipper. 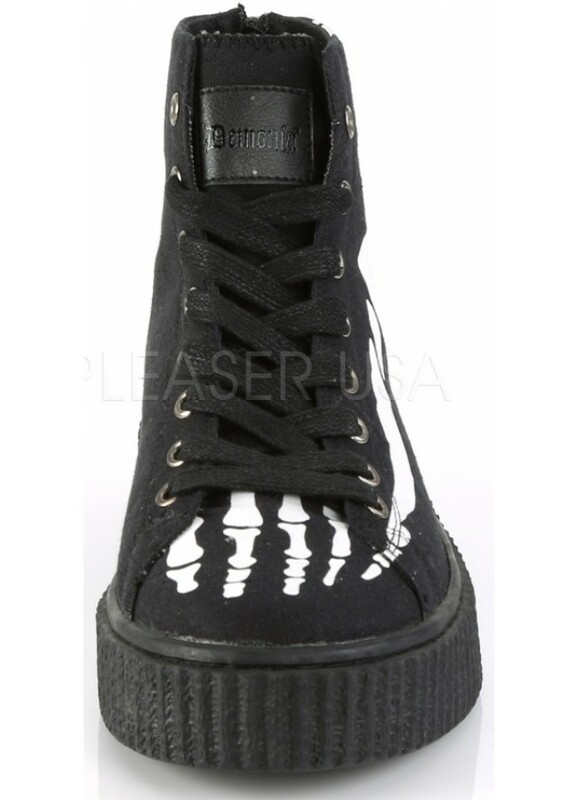 They have a Demonia logo on the tongue and on the back heel. Item Number: PL-SNEEKER-252 | Approximate Size (Inches): 12.00 wide x 14.00 deep x 6.00 high | Approximate Shipping Weight: 4.00 lbs.